Jóhannes ur Kötlum was born in the Dales district of western Iceland in 1899. He was educated as a teacher – a profession he pursued for many years, first in the countryside and then in Reykjavik–so it should come as no surprise that he wrote half a dozen books of children's verse besides his score of other books. One of the salient figures of modern Icelandic poetry, he mastered both the intricate traditional forms and the modern, but as an outspoken, idealistic and sometimes scathing critic of political institutions, he courted controversy and often drew the ire of political opponents. Neither friend nor foe. however, denied the charm of his children's verse. Christmas is Coming has been a perennial seller since it first appeared in 1932. Hallberg Hallmundsson (1930- 2011) was an editor, poet and author. Born in Iceland, educated in Iceland and Spain, he made his home in New York since 1960, held various editorial positions and did a wide range of translations – both into and from the Icelandic. Hallberg was an editor of Business Week from 1984–2002 when he moved back to Iceland. He was an author of seven books of poetry and a volume of short stories, all in Icelandic. Tryggvi Magnússon (1900- 1960) born in the North West of Iceland – was educated in Akureyri, Reykjavík, Copenhagen, Dresden and New York. During the struggle for independence in Iceland he created a forerunner for the Coat of arms for all the different provinces in Iceland. He is most famous for creating the Icelandic State Coat of arms and his satiric cartoons for magazines in Iceland during the last century. Since the first publication in 1932 Christmas is Coming has been an integral part of Icelandic Christmas traditions and helped preserve age-old folklore in modern culture. A seasonal bestseller from the start, few other books have been reprinted as many times. Translation: Hallberg Hallmundsson. Illustrations: Tryggvi Magnússon. A children’s favorite The Yuletide-lads are thirteen mischievous and sometimes scary characters, appearing in towns and farmsteads, one by one, the first on December 12th and the last on December 24th. The Ballad of Grýla tells the tale of an ugly and vile female ogre that starves if the children are nice and behave, but is quick to reach for her bag if they are naughty —filling it for her pot. The Christmas Cat prays on poor families during Christmas, targeting children without new clothes; For puss couldn’t ever eat those who got anything new to wear. The book also includes Christmas is Coming and The Christmas Child. 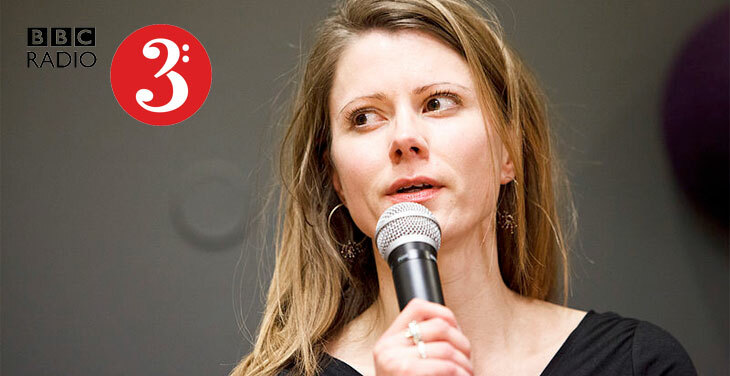 Acclaimed Icelandic poet and author Gerður Kristný journeys into the curious world of Iceland’s Christmas myths. With not one but thirteen Santa Clauses, troll-like figures who sneak down from the mountains to make mischief at Christmas and a ‘Yule Cat’ who prowls through the snow looking for lazy people to eat, there are myriad fantastical – and sometimes sinister – festive tales indigenous to Iceland. 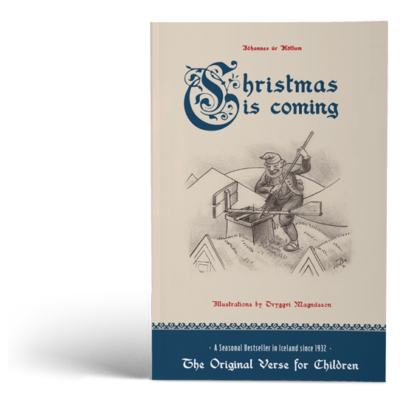 Creeping down from the mountains one by one over the thirteen nights before Christmas, Iceland’s Jólasveinar, or ‘Yule Lads’ are eccentric characters out to make mischief. 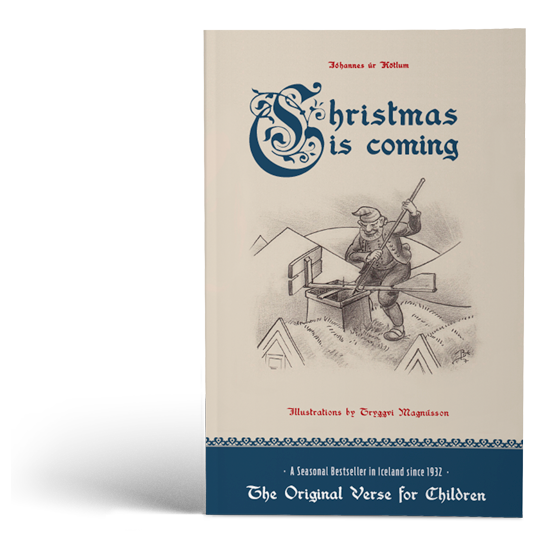 From ‘Door Slammer’ to ‘Spoon Licker’, ‘Sausage Swiper’ to ‘Meat Hook’, the Yule Lads – part of Icelandic folklore stretching back centuries – can be mischievous and menacing, stealing from pantries, playing pranks and scaring children.